I'd been meaning to try this moisturiser for a long time, so when I saw that it was offered as a free gift with a Company subscription, I jumped on it. It retails at £34 for a 60ml jar, so it's pretty pricey. 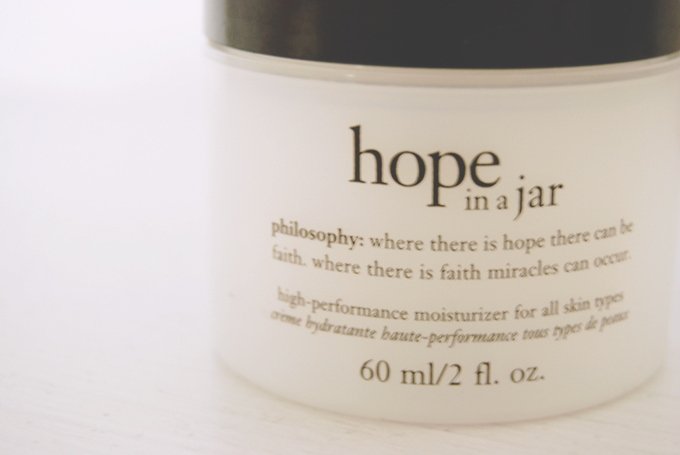 What with the price tag, and the optimistic name, I was expecting big things from this moisturiser. My experience started with the "easy open" film. I tried to peel it off, but it was stuck fast. Rich had a go and was equally unsuccessful, so we had to crack out a knife and cut it open. This has left an unsightly foil rim around the top of the pot. So much for easy open! The moisturiser has a really light, whipped consistency. It applies evenly and glides across the skin well. However, I find it a little too light for my liking. I prefer rich moisturisers. This is the least of my problems, however. 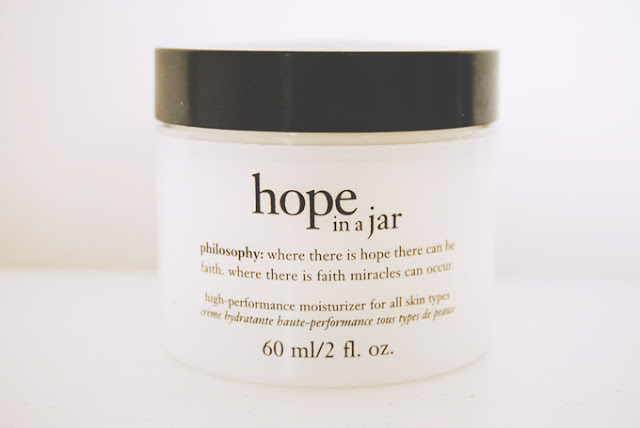 Let me tell you, Hope in a Jar stinks. I'm not averse to scented products. In fact, my favourite moisturiser (Benefit's Total Moisture) is very heavily scented. It's this particular smell that bothers me. At first, I was strongly reminded of sambuca. There's an almost aniseed-like note to it. The moisturiser contains lavender oil and, on closer inspection, this does seem to be the origin of the scent. It's not the usual lavender fragrance though. I adore lavender usually but the aniseed hints to this give it an alcoholic smell that really sticks to the skin. I still get whiffs of it an hour or two after applying. Perhaps I could overlook this if it was a really miraculous cream. As already stated though, it's far too light for my liking and doesn't seem to moisturise my skin as much as my faithful Benefit product does. For the cost of this, I'm very disappointing. I'll be sticking with my tried-and-tested brand in the future. Definitely pass on this one! I saw your post in the Company Magazine forum. Your writing style is a joy to read. Let me know with a comment and I always follow back. Pretty much smells like someone's thrown sambuca in your face. 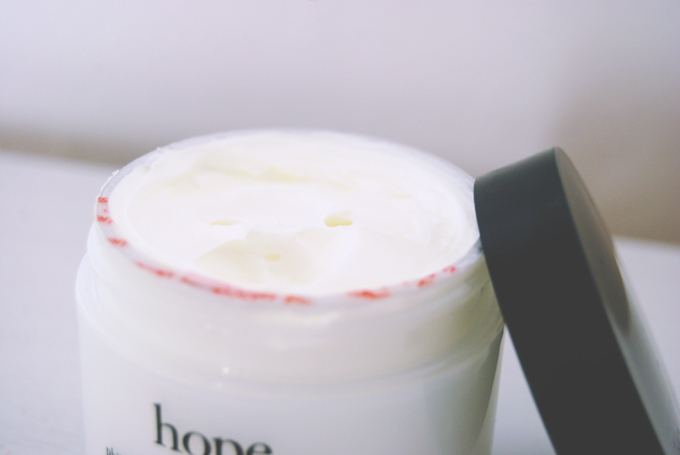 I've got terrible skin & i'm constantly on the hunt for a perfect skin care combination. I wouldn't feel comfortable if I wasn't honest. I'm really glad you wrote this review. 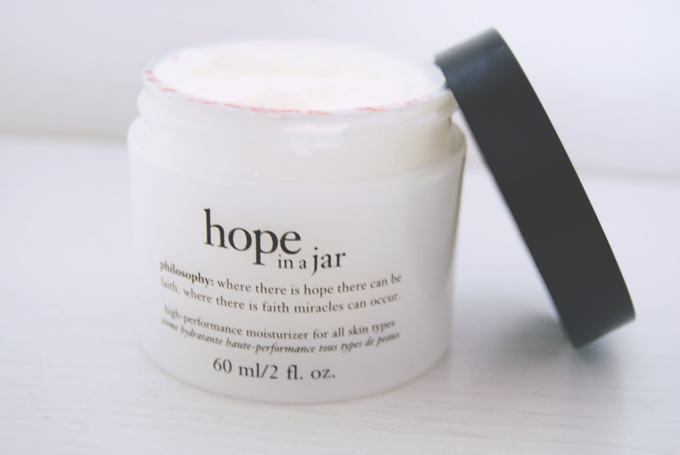 I am a bit of a moisturiser 'hopper' ...as in I rarely use the same one twice, purely because I can't seem to find one that's right for me. I was thinking that maybe i'd have to switch to something pricey to get results, but i'm glad that this may not necessarily be the case! I may have to try a benefit moisturiser purely because I'm already in love with their make-up. Hello! The Benefit one is really great if you don't mind scented products.